Jack Frost Reusable Hot Cold Packs 7-1/2" x 15"
Jack Frost Gel Packs can be heated in a microwave for warm therapy or placed in a freezer for cold therapy. Contents are nontoxic and nonirritating. Gel packs will stay flexible when chilled to easily mold to the injured area. 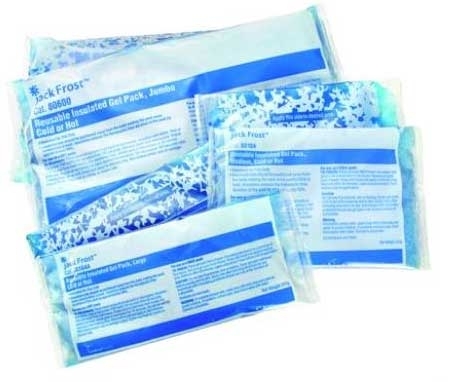 A great ice pack that is large and flexible to cover areas where needed. Were shipped to my home promptly after ordered.